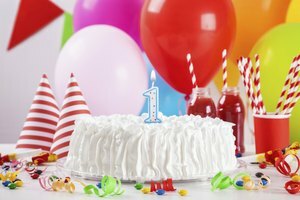 Children can't resist poking a finger into the lush frosting soaring high atop a cupcake or birthday cake, and neither can adults. 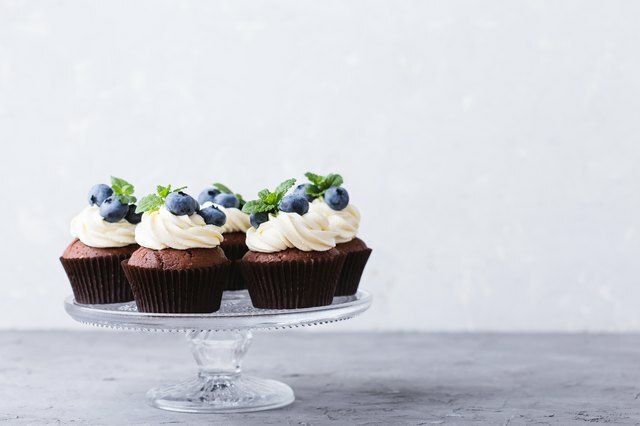 The magical lure of a sweet whipped crown is literally the icing on the cake, and its various incarnations provide a perfect base for exotic flavorings and dramatic colors. Traditional buttercream frosting takes on a majestic personality bursting with taste and lively with texture when transformed into a Swiss meringue buttercream. Never fear making too much – leftovers are reawakened if stored in an airtight container. The basic buttercream frosting consists of sifted powdered sugar, unsalted butter, a dash of heavy cream and flavoring and coloring of choice. Easy to make ahead of time, the traditional buttercream rejuvenates once taken out of the refrigerator or freezer, brought back up to room temperature and given a final whipping in a stand mixer. Unlike its American cousin, Swiss meringue buttercream is more complicated to make but yields a frosting that is bursting with taste and boasts a rich texture. It also doesn't form a thin crust like American buttercream does. It stays fluffy. Fine sugar is blended with egg whites over a double boiler until the optimum temperature is reached. It is then whipped with a stand mixer until it's glossy and turns into a meringue. At that point, unsalted butter is added, along with flavorings and colors. Whipping continues for at least 10 minutes, even if the contents of the bowl seem to deflate, until the Swiss buttercream emerges like a butterfly from a cocoon. 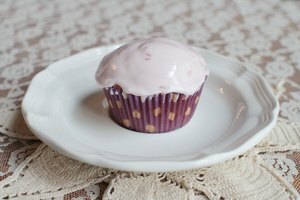 This frosting is versatile in that it can be made a day, or a week ahead of time if stored in an air-tight container and refrigerated for one week, or up to two months if frozen. The key to Swiss Meringue buttercream is working with and serving it at room temperature. 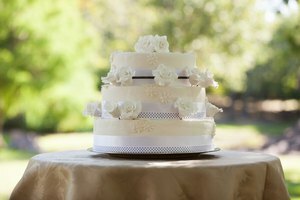 If the buttercream has been refrigerated, be sure it's brought up to room temperature. Then mix in a stand mixer until the light and fluffy meringue buttercream that you know and love comes back into shape. Spread or pipe as if the Swiss meringue buttercream were freshly made. A powdered sugar substitute can be used in place of granular sugar without affecting the texture. The taste may reflect that of the substitute to a degree, which is why it's important to know the taste qualities of the substitute. Margarine is a substitute for butter in the buttercream. Be sure the fat content of the margarine is at least 80 percent or the frosting won't hold together. Shortening, heavy cream and cream cheese are also substitutes for butter, but the quantities differ for each item in a recipe. Just know that substituting for butter results in a buttercream that feels different in the mouth, has the flavor of the substitute and its structure varies from that of the Swiss meringue buttercream of your dreams. Our Everyday Life: What Can I Substitute for Butter When Making Frosting? My seventh grade English teacher didn't realize what she was unleashing when she called me her "writer," but the word crept into my brain. I DID become a writer. Of advertising copy, dialogue and long-term story for several network soap operas, magazine articles and high-calorie contents for the cookbook: Cooking: It AIn't Rocket Science, a bestseller on Amazon! When I'm not writing, I'm cooking!